I have decided to redo the bike I have. 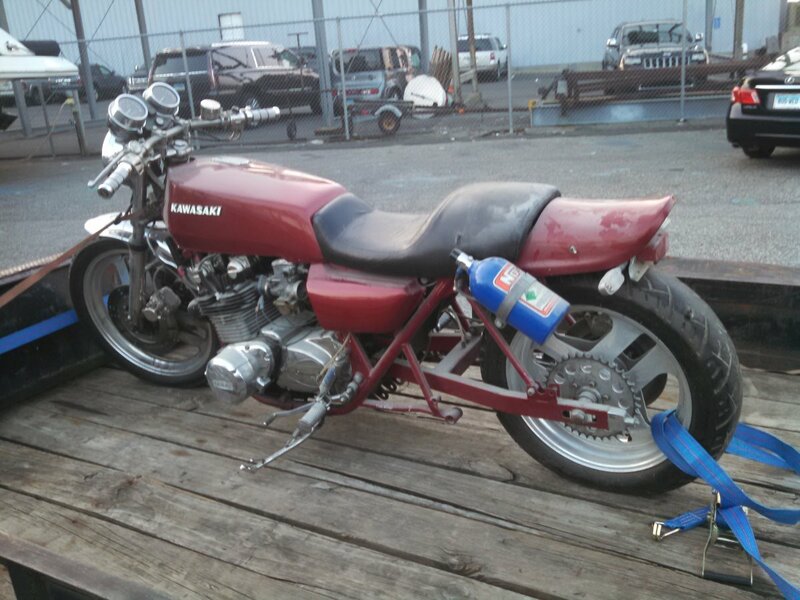 The bike I have is a 1980 KZ1000. It belonged to my friend, a long time friend, someone I called my brother. He passed away 11 years ago, the family contacted me last year and asked if I wanted the bike. Of course I said yes. At the time of his death I have known JB for over 32 years. With all that said, I am going to strip the bike and start from scratch. From time to time I will ask some advise. I will continue to post pictures of the progress. Thank you all for helping me bring my brothers bike back to life. That's a nice gesture to do for an old past friend! Early style drag bikes are very simple. Plenty of parts are floating around regular on eBay. I know 3 guys in Ohio, A guy in Topeka, KS. 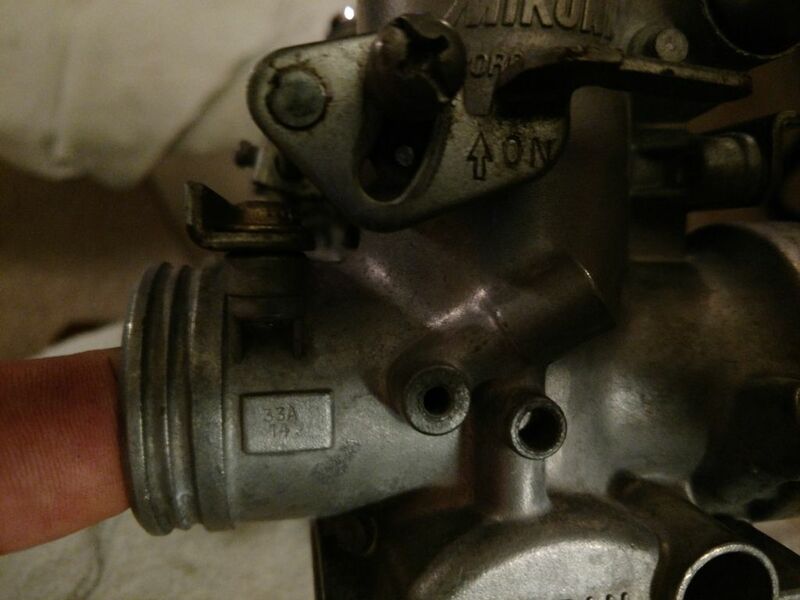 As your finding out all these old bikes were mis-matched hybrids of parts The engine with the "E" says Mark II case. I always buy shaft drive 1000's for the cases when I can. I have a few saved. But with a 16 tooth bottom pin in center of crank, crank is welded! with a 124 tooth cam chain, then 32 tooth cam sprockets. 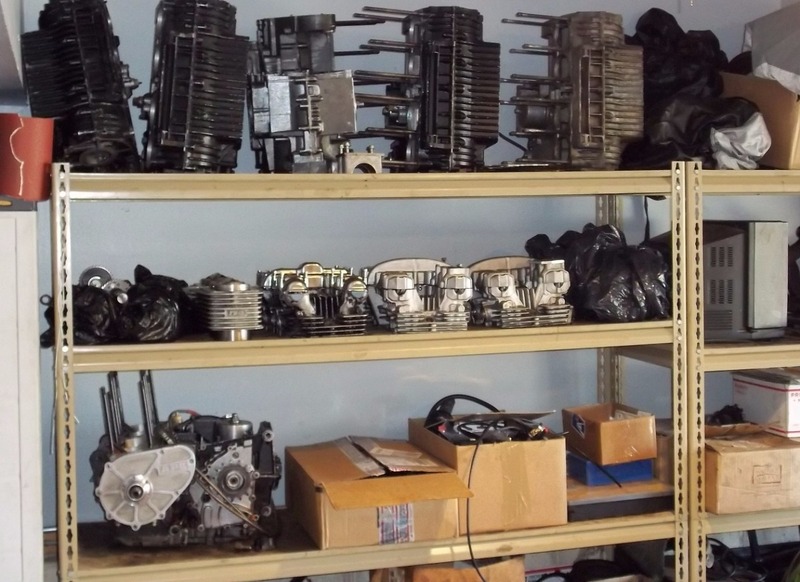 You got to be careful when putting these old engines together with different parts. When this is all apart show us the engine pics! BUT I would not think the CC's are that big 1428?? that is a lot of modifying! 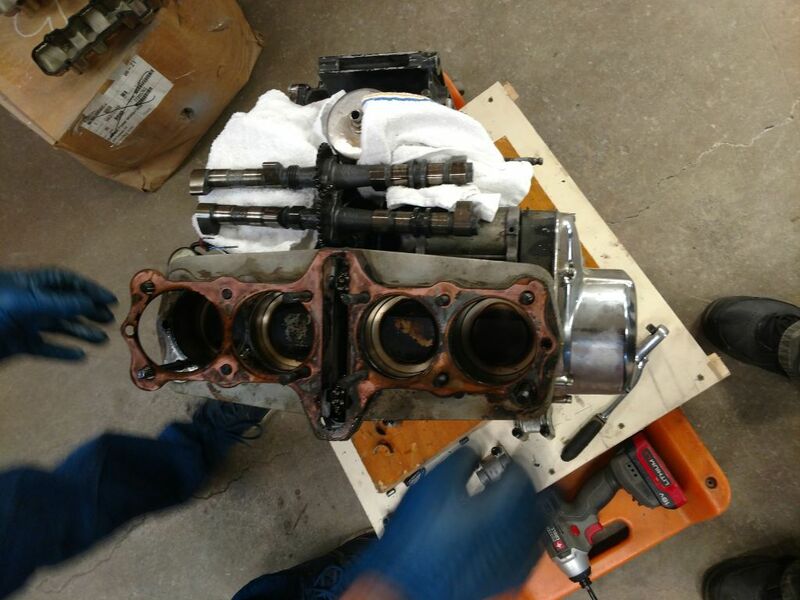 Lots of oil leaks with those big cylinder liners and bored out cases But good bones. Nice wheels that will polish up like new! Nice swing arm. Please! RAKE the frame neck! (I'll post a pic of mine!!!
) 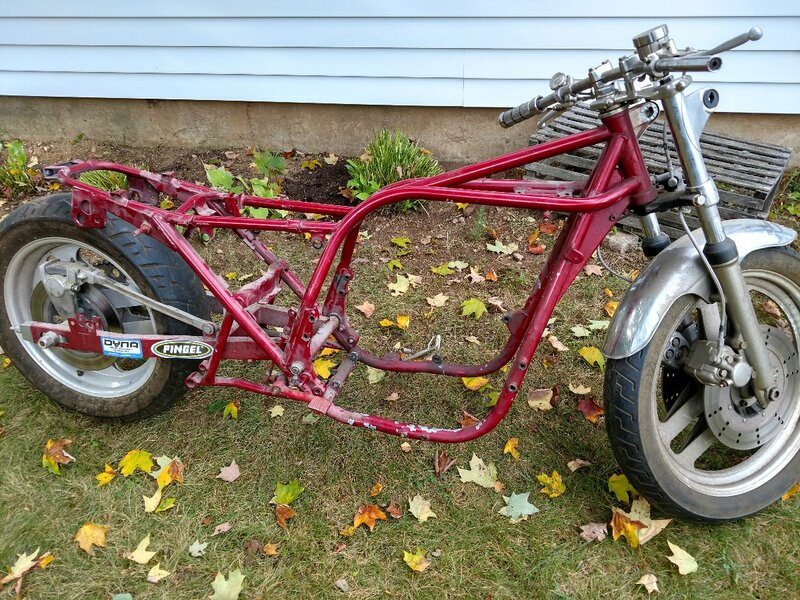 It needs to for the classic drag bike look! And change the Z1R Tank to smaller LTD tank, (But if it was your friend who wanted that tank?) then keep it!!! Then, I would down size to a 1075cc .410 lift cams that use shim on top like stock oem's. More rideable on the street if you plan that? Or will you drag race it only? Spend some time and give us a story and your ideas. I gave up on this stuff, life is too busy and I'm old and broken & worn out!. I sold off most my good parts. But have a couple things sitting for too many years! Yea! I know! 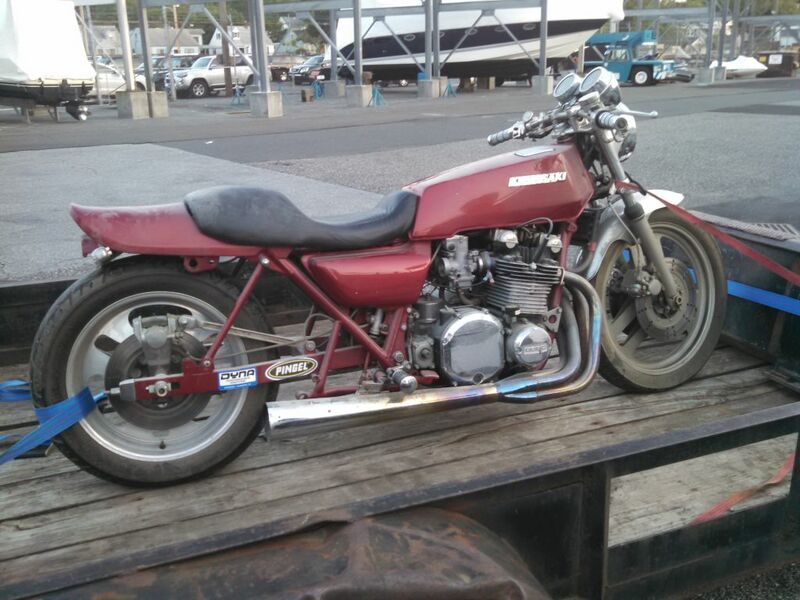 read and heard all about those wasted project bikes. 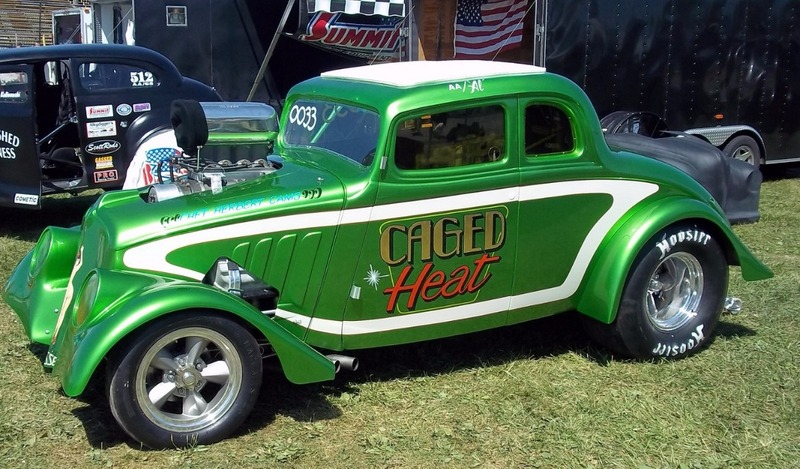 Plus I hang with some Nostalgia A/A Gasser Guys that go up the around the east coast. But nice choice! 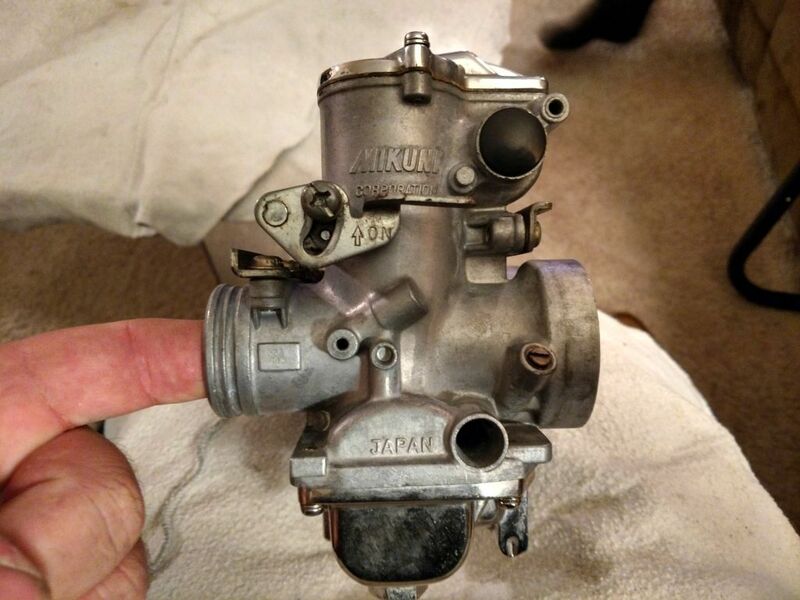 Build that Old KZ like a Pro-Stock bike from the late 70's. There are plenty of fabricators on this site that build items now. A lot of guys here on this site that know a lot of other guys all over the country. But Dragbike style is not on top of list on this forum. Still have a Kaw! 76 KZ900 Pro-Street. Went thru 25 of these in 40 yrs. Old faithful! Points ign. Bendix Orig. carb. You are right I am finding out that the bike is a bit mismatched, but I'll make do. Nice bike you have, here are a few pics from when I picked it up and now. 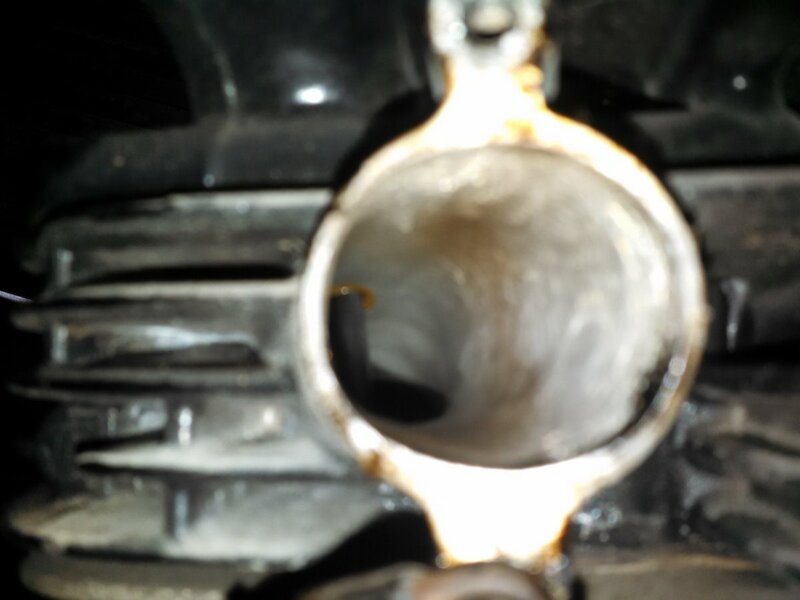 also 1 pic of the intake port. Why the need to change so many things on that bike? I'd just sort out the electrical to have a reliable system, ad whatever lights are needed and run it as-is.....maybe lose the NOS bottle though. Not changing things, take apart to clean up and put back together. Sent out the struts, I want to Black Chrome the frame and swing arm. Hoses, cables, are all shot and need to be replaced. Bike ready for paint, powder, what ever. It will look new when done. that is a some radical porting! specs on this motor? From what I have been told it is a 1480. 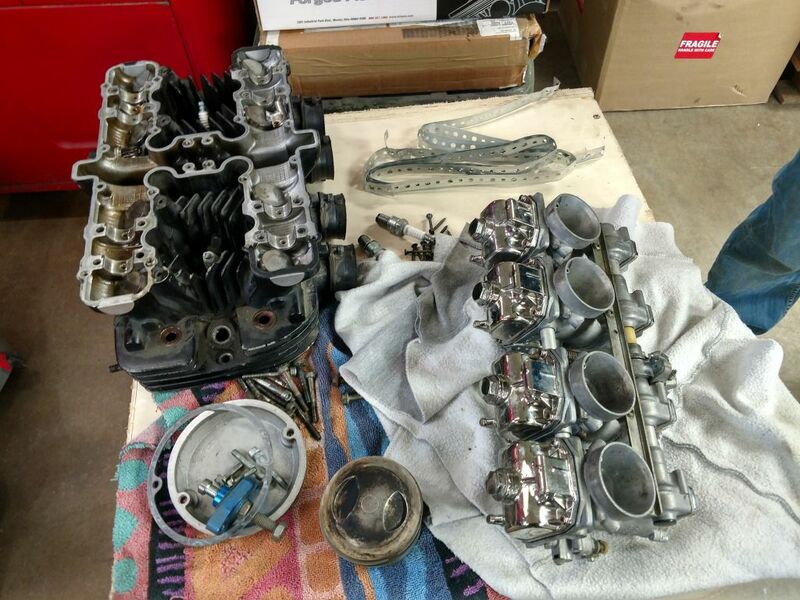 That is all I know for now, I am sending the engine out to find out what it is exactly, and to have it cleaned up and freshened up. I am thinking about a mono shock, can anyone give me advise about the geometry. 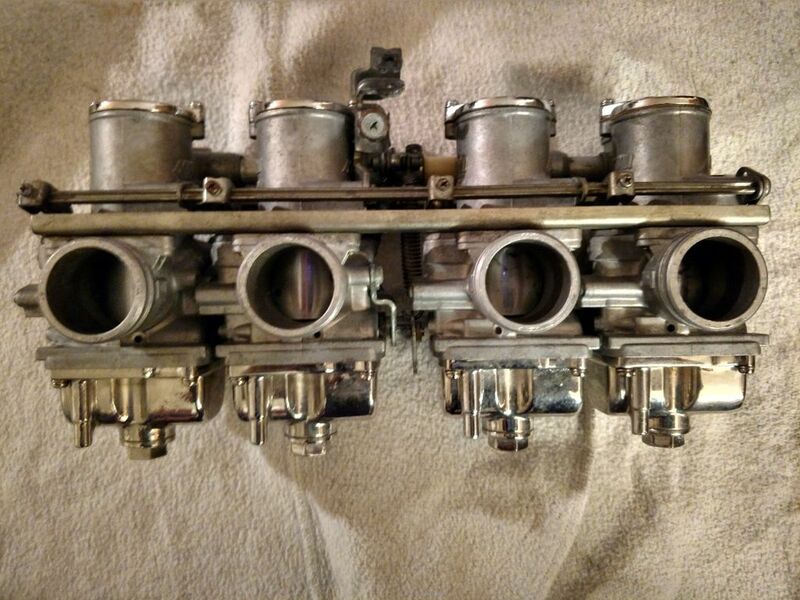 can anyone help identify these carbs? sorry for the duplicate post. For those interested in the engine specs. I delivered the engine to Cavanaugh Racing Heads today, I have engine specs now. 1428 CC, Web Cams 125 460 lift intake, 122 430 Exhaust, Valves are 37.5 Intake, 31 Exhaust, 12.5:1 Compression. 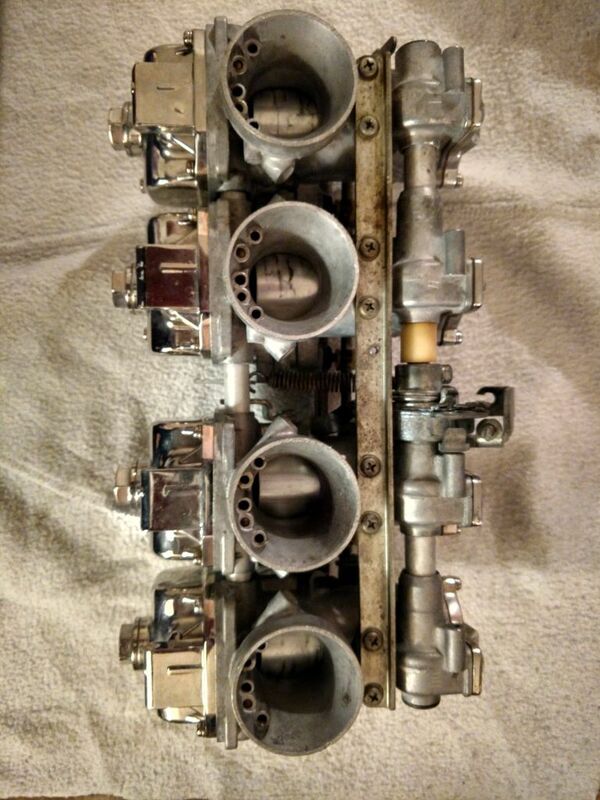 I was told the carbs are 33mm smooth bores, is anyone interested in buying them, I was advised on bigger carbs. Can anyone advise me on where I can get a MTC head? or any aftermarket stock head.? Not to pry but have you talked to Larry about the head? The MTC or Ward heads are for the serious stuff!!!! Ain't gonna be no street bike and you gonna be investing a ton of money to support the power they can make. You're talking auto trans, big tire stuff here you know. 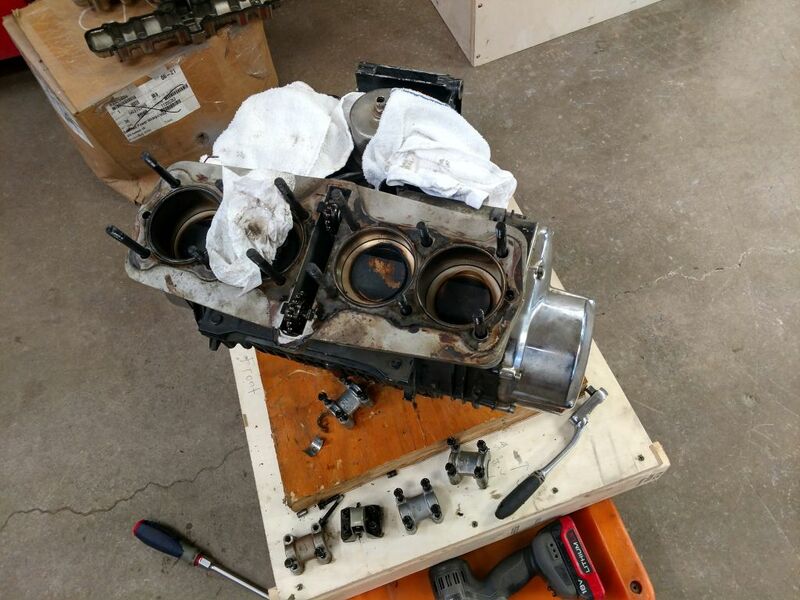 My engine is a 1428, I am looking for the head because my head has heli coil in 4 of the bolt holes on one cam. I'm looking for the head stock and let Larry do what ever he needs to do for the performance. I just figured the after market head would have more meat so the head wouldn't strip again. 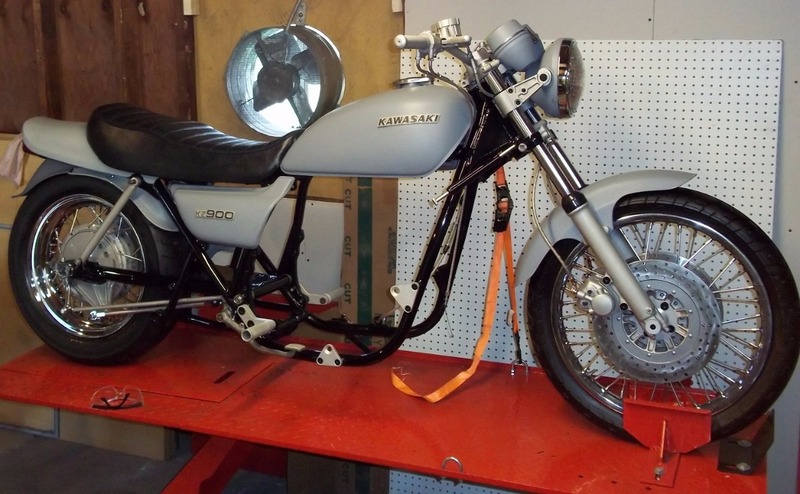 If anyone has a stock head for a KZ1000 with no emission holes I'm interested in that as well. Are the helicoils installed incorrectly? They're supposed to be stronger than the stock threads if done right. It evidently was strong enough for the previous owner to flog it at the track. If in doubt, I'd have LC take a look at in and also evaluate the porting job. LC has the head and he was the one who told me I should get another head. He did inspect them, they were installed correctly. The only thing he said about the porting was he wouldn't have ported the valve stem so much. The previous owner of the bike didn't go to the track, he would street race for money. I was thinking of putting studs for the cam caps to repair the head.